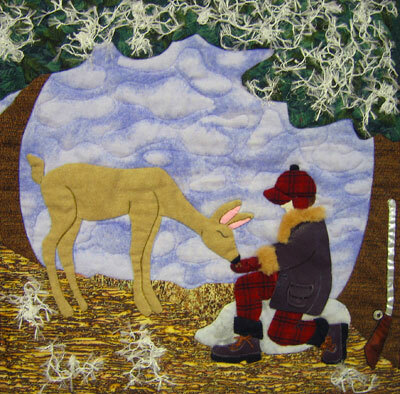 November 2004 Pattern "A Deer's Thanksgiving". An appliqued and embroidered pattern. Three pages. 14" finished block.